There are times when persistence pays off in a big way. This turned out to be exceedingly true for one treasure hunter from Altrincham, a small British market town in Greater Manchester. It was January of 2015, and Cheshire, a county in the northwest portion of England between Manchester and Liverpool, was experiencing some exceptionally cold temperatures. Treasure seekers Ronald Lees and his friend Rick Parker circled the Cheshire field for the fourth time, and for the fourth time they came up empty. They grit their teeth to endure the freezing rain that beat against them. This is where normal men would have given up, but the two decided to make one more trip round, that’s when they heard it. The adventures in treasure hunting began when Lees was in his twenties but he would go on hiatus in the decades to follow. 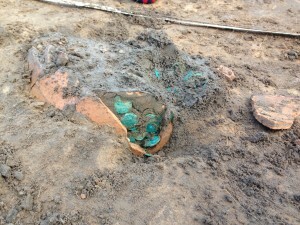 But when he made his return only three years ago he never imagined that he would unearth dozens of bronze coins from ancient Rome. If that wasn’t enough, Lees—with the help of archaeologists provided by the Finds Liaison Officer—would discover 7,800 more coins in that very location! Last week, an inquest was held at the Macclesfield Town Hall wherein the deputy Coroner for Cheshire, Alan Moore, declared the coins legal treasure. Museums have the ability to lay claim to treasure finds, but it is up to the Treasure Valuation Committee to determine the worth of the hoard and decide how much compensation the finder will receive. Lees’s interests, however, transcend mere financial gain. “The last person who held the coins could have been a Roman Emperor, a gladiator or a serf,” he said excitedly. 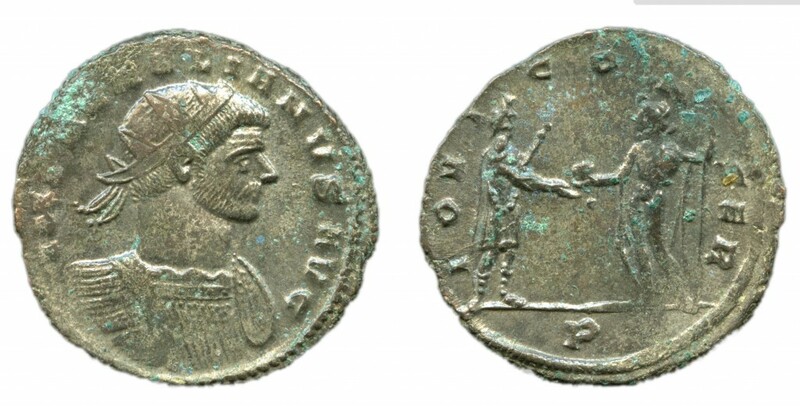 "Apart from a single very worn sestertius of Commodus (AD 180-92) the coins range in date from AD 251-274 and the assemblage is broadly similar in composition to the many Romano-British coin hoards buried in the aftermath of the breakaway 'Gallic Empire'. Although the coins were carefully removed in layers (BM conservation by Katarzyna Weglowska), a visual check of the bags showed no noticeable compositional differences. The coins of Aurelian (AD 270-5) present here are issues from the earlier years of his reign (up to fourth series of Milan; possibly as late as early AD 274 according to LV), leaving the latest coins as those of Tetricus I, AD 271-4 (and his young son Tetricus II)."